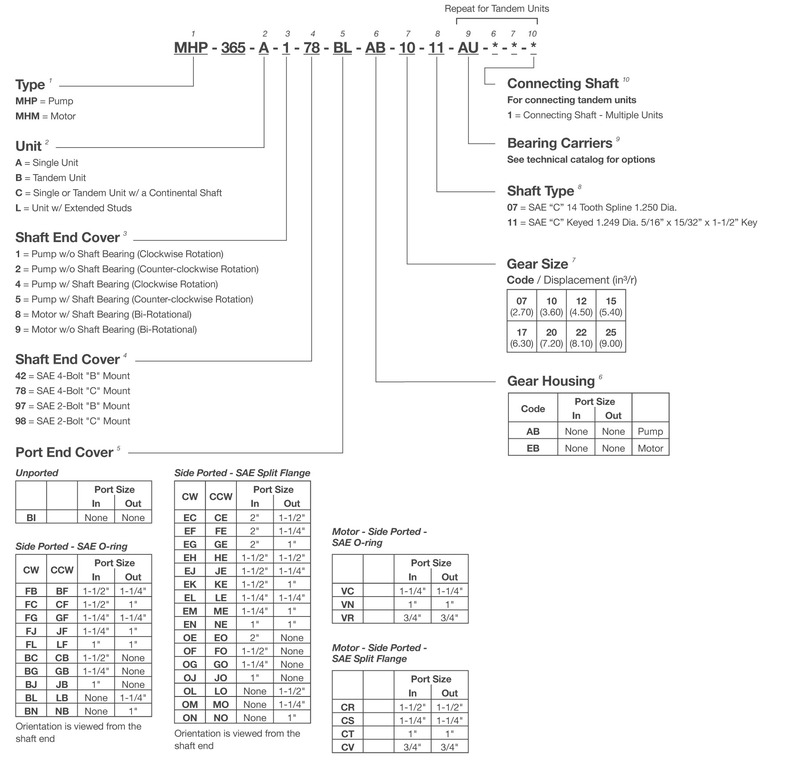 Genuine Metaris MH365 series bushing pumps & motors are available in 8 different gear sizes with a variety of mounting flanges, shaft configurations and porting options. Multi-section units, piggyback designs & dowelled assemblies are all also available. With ductile iron housings, these pumps offer pressure ratings as high as 3500 psi for the most demanding of applications. 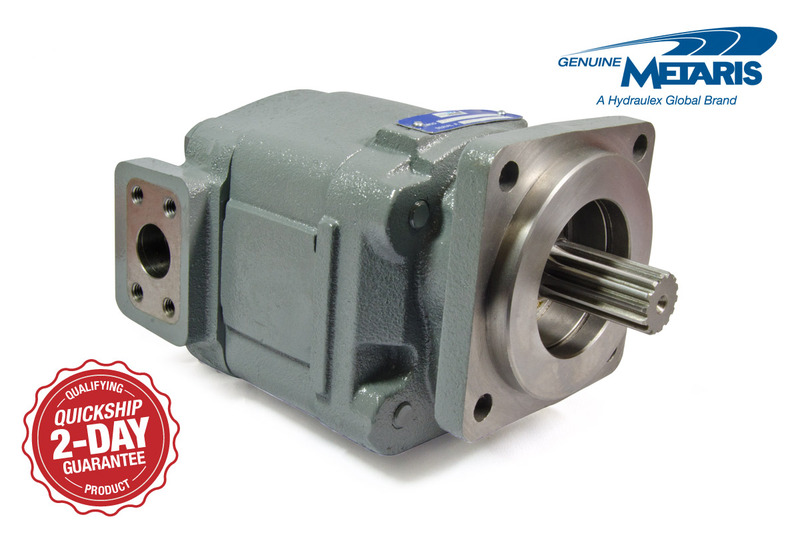 The MH series are perfect alternatives to other gear pump products from Commercial®/Parker®, Permco® and Muncie®.